High tension cable 12mt is divided into two kinds according to the degree of pressure resistance: 75KV and 9OKV.According to the arrangement of the Central Line coaxial and non – coaxial type of two.One of the properties of its high voltage cables is good insulation. High tension cable 12mt accessories should have insulation performance no lower than that of the cable body, dielectric loss of the insulation material used should be low, the structure should deal with the sudden change of electric field in the cable accessories, and there are some measures to change the distribution of electric field. Newheek is the research and development and manufacture of X-ray source key components and systems.Focus on medical and industrial X-ray applications. 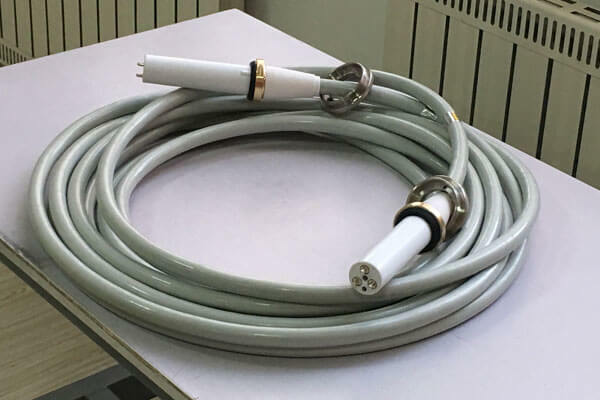 Newheek high tension cable 12mt can be customized to continuously increase the added value of products, provide customers with more high-quality products, timely supply security and continuous research and development support. Our high tension cable 12mt caters to your specific needs.